Foreign media reports of the new Israeli law targeted to fight eating disorders are flooding world news. “It’s fantastic!” said plus size model Emme to CNN. Israel is the pioneer, hopefully others soon will follow. The Modeling Bill passed second and third readings and echoed around the world. News networks around the world are speculating whether or not this precedent will inspire other governments to pass bills of this nature. According to the modeling law, passed a few days ago, male and female models that are clinically underweight will not appear in commercials in the state of Israel. Furthermore, the usage of editing or retouching using programs like Photoshop in order to take in body measurements must be pointed out in bold noticeable writing. These terms will also apply on advertising produced abroad with foreign models that are imported to Israel. The daily telegraph’s fashion section reported the passing of the bill and mentioned Israel is the first country that has prohibited under weight among professional models. “This looks like the first attempt by a government to fight the fashion industry accused of encouraging eating disorders by putting extreme thinness on a pedestal. This law could inspire other countries battling the Anorexia Nervosa and Bulimia Nervosa epidemics, especially among young women”. The American CNN network also addressed the new law. American plus size super model Emme said in an interview to the network that the law is sure to encourage other countries to implement similar measures in the battle on eating disorders and prohibit underweight models to appear in advertising. “I think it’s fantastic! So many men and women are struggling to achieve an appearance that is both unrealistic and unhealthy”, said Emme. The American model also pointed out that the British government has also been vigorously active in stopping advertising agencies that alter girths in photographs and use photographs that present models in an unrealistic manner. News of the groundbreaking bill even reached The Turkish newspaper, Hurriyet Daily News, which has addressed the new law. According to the bill, the minimum BMI (Body Mass Index) for models is 18.5, under which it will be illegal for models to appear in advertising. Body mass index is defined as the individual’s body mass divided by the square of his or her height. The agency hiring the model will have to refer the model for a medical examination that will determine weather or not he or she are eligible according to the new criteria. It has often been assumed that after a heart attack, where by definition a piece of the heart dies for lack of blood and oxygen, the damage is irreparably permanent. However, Israel has done it again, this time by proving that, indeed, it is not. Over a month ago, OneJerusalem reported an Israeli breakthrough as a possible cure for radiation sickness, as well as a kickstarter pill for a damaged pancreas in diabetics. 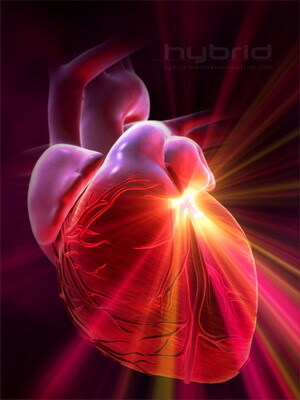 Now, they’ve done it again by making a dramatic breakthrough in treating heart disease, growing heart muscle in rats’ abdomens and using it to patch the hearts of rats that suffered heart attacks. The results of the experiment were published this week in an American journal. Many researchers have attempted this approach to fixing damaged hearts in the past but haven’t succeeded in keeping the grafted tissue alive to join with the adjoining heart tissue. The difference in approach by the Israeli team is that instead of transplanting the cells directly to the heart, they implanted them in the abdomen first in order to get a system of blood vessels going. This means the tissue has less of a chance of dying of oxygen deprivation and can attach itself to the vessels of the heart. The process took 28 days until the two linked up, and more than that, the patch actually improved the damaged heart. The problem with heart attacks is that they usually leave a scar on the heart, which tightens up over time and often leads to another heart attack. The patch prevented the scar from forming. When do human trials start on abdomen-grown cardiac tissues? HA, we have no idea. But hopefully soon. 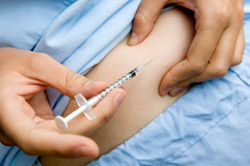 Insulin Shots for Diabetics a Thing of the Past? How’s THIS for the only democracy in the Middle East: Thanks to a Tel Aviv University student named Adi Mor, Insulin Shots may become obsolete very soon. Adi has developed a tablet-based treatment for Type 1 diabetes, which tests show restores insulin production in animals. The drug is based on something called a Ras protein inhibitor. The Ras protein is found in 30% of all cancerous tumors, and completely disrupts a cell’s normal function. The inhibitor allows cells to continue with business as usual by taking the protein out of the equation. The drug was initially designed for patients with pancreatic cancer but Mor modified it to function for diabetics. The great news about that is, since the previous version of the drug already passed most of the hurdles for FDA approval, this spin off could skip straight to clinical trials, cutting the wait for the drug to about 5 years. The same drug is also effective against autoimmune diseases such as multiple sclerosis (MS) and lupus. The drug helps autoimmune diseases, which occur when the body’s immune system begin to attack the body itself, by increasing the production of a protein called Foxp3 that keeps the immune system cells in check. This is the same thing which keeps diabetes in check. If it works, Israel chocks up another victory against common worldwide diseases. See our article on radiation sickness for further good news. I sincerely hope that when the president goes in for his annual check-up, the doctors at Bethesda will do a brain scan. Surely something must be terribly wrong with a man who seems to be far more concerned with a Jew building a house in Israel than with Muslims building a nuclear bomb in Iran..
Today Jan 21st, 2009 is the Bone Marrow Recruitment day for this 6 year old angel – time is running out. The cost of each of these tests is 180 NIS – So let the moth out of your wallet and give now !!! Amit Kadosh turned six years old on September 3rd. 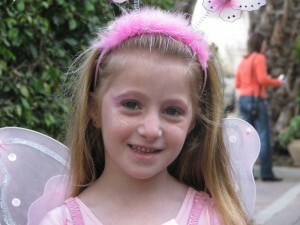 Her father Yuval is a sales manager, and her mother Naomi, a travel agent. Amit has an eight year old brother named Omer. Amit began first grade at the local K’far Saba elementary school on September 1. About a month later, she was diagnosed with AML, a kind of leukemia which is rarely found in children. Ezer Mizion and their corps of volunteers have been at the side of Amit and her family from their very first day at the oncology ward in Schneider’s Children’s Hospital, assisting them in many ways. Ezer Mizion’s Oranit Guest Home for children with cancer in Petach Tikvah has become one of Amit’s favorite spots. Amit is an endearing child, and the personal charm that she exudes endears her to the entire staff of the hospital as well as Ezer Mizion’s staff and volunteers. The municipality of Kfar Sabba, where Amit’s family lives, and her school have both “adopted” Amit and her family with great warmth. Students in the school regularly send her pictures, flowers, candy and gifts. When her medical condition allows it, the teachers come to visit her. Between treatments, Amit sometimes goes out with her family to a park near her house, and her classmates come to meet her there, in the open air, where there is less risk of her becoming infected by illnesses that can endanger her life. Recently, on a day when Amit was feeling well, she came to school with an enormous chocolate cake and gave out slices to her classmates, as a token of appreciation for their concern and caring. The encounter was a tremendously emotional one for everyone present. In order to save Amit’s life, she desperately needs a bone marrow transplant. Her brother Omer, who was the most likely candidate for an optimum match, was tested and found to be incompatible. 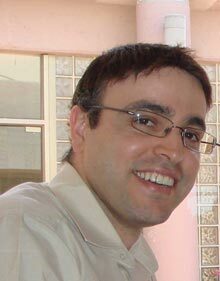 The only chance for Amit is to find a donor from an unrelated stem cell donor. Until now, no matching donor has been found in any registry in the world. Ezer Mizion has scheduled a stem cell donor recruitment drive in the hope that the person who will be Amit’s perfect match will join the registry and save her life. The drive will take place throughout Israel on Wednesday, January 21. We hope that thousands of donors will join that day and save Amit’s life and the life of hundreds of other patients across the globe whose only hope for survival is a stem cell transplant. As written in the previous post, we’ve seen Bush make a speech at the Knesset this week, and even opening it in Hebrew. Well, I would suggest Mr. Bush to take the next step, and join a Hebrew class — it would do good to his intelligence. Many Zionist immigrants (Olim Ha’dashim) complain that Hebrew is a tough language to master. One of the reasons for this difficulty is the way Hebrew is written and read. Vowel signaling is mostly optional in Hebrew, and it is normally used only by children learning to read. Suppose you see the word “presume” like this: “prsum” — Could you make out what’s hiding behind these consonants?! Well, that is, more or less, how most people read Hebrew, as omission of most of the vowel letters is conventional. Again, since it is posing a significant barrier in the acquisition of reading abilities, children in primary school usually use a special punctuation subscript called “Ni’kud”, but as they grow up, they don’t need it anymore. The point I’m trying to make is that reading and writing Hebrew properly requires more activation of the brain’s cognitive faculties than is the case with writing and reading English (or French, for that matter). What cognitive faculties am I talking about? Well, first of all, there is the increased amount of memory needed to store the different options of punctuating the same transcript. The same set of letters is used differently, and is pronounced differently, in alternate contexts. And this brings me to the second capacity which the Hebrew transcript develops: a stronger inclination to mental association. As just mentioned, the pronunciation of a word differs according to its meaning, and the meaning is dependent on the overall context of the word. Going back to the “prsum” example. One can choose to pronounce it like “preesuma” or like “prosumeh” or like “presume”. Since among these three options, only “presume” is a real word, the choice is simple. But in Hebrew we have many cases where several of the possible pronunciations are valid options. Thus, quick analyzing of sentence structure is the associative capacity every Hebrew writer is expected to acquire by the end of primary school. In addition, nouns in Hebrew are all gender specific, just like in French. This feature isn’t unique to Hebrew, however in comparison with the previous feature I mentioned, this one is present in both spoken and written Hebrew, so even young children just learning to speak have to confront this hurdle. Again, this feature of the Hebrew language requires the increased use of memory and of associative analysis, since each gender necessitates the use of alternate words with distinctive punctuation. A good example for this would be the use of “his” and “her” in English. We can say “his score” for Danny and “her score” for Rachel, but we use “its score” for the Basketball team. However, in Hebrew, a basketball team is a female noun, and it is virtually impossible to refer to it as a genderless word. In sum, learning to master the Hebrew language is good for your brain, since it forces you to allocate more “cognitive power” in order to process this ancient and complex language. A recent study conducted at Harvard University in the U.S.A. again confirms the benefits of drinking moderate amounts of red wine. The study, using laboratory rats, confirmed earlier studies at other universities, including Yale, also in the USA, that red wine contains ingredients that reduce levels of cholesterol in the blood stream, reduces risks of some forms of cancer, and even helps prevent the outset of Altsheimer disease. The secret of red wine are ingredients known as polyphenol antioxidants and flavonoids which are said to come from the skin of red wine grapes. For years, the health attributes of drinking red wine have been known by millions of people; and the grandmotherly advice of drinking a glass of red wine before retiring at night is followed by many people. The cardiovascular benefits of red wine consumption has resulted in people living in countries where large quantities of red wine is consumed having less heart attacks and other related problems. Flavanoids also help prevent premature aging due to the antioxidants they contain. Polyphenol antioxidants have been talked about by nutrition experts as one of the main protections a person’s body has against aging. While wine drinking may be healthful, it must be remembered that over-consumption of wine (and other alcoholic beverages) can have adverse effects on one’s health; including liver damage and diabetes (due to abnormal increase of blood sugar levels). Inexpensive commercial table wines also contain preserving and fermentation ingredients known as sulfides which can be very bad for people who are allergic to them. In the U.S.A., wines containing sulfides must state so on the bottle’s outside label. Few lower priced Israel wines have this warning, however; so if one is uncertain regarding this problem, it is a good idea to consult the manufacturer’s customer service department, or purchase more expensive wines which are naturally fermented and do not contain sulfides. Many other food items also contain polyphenol antioxidants, but red wine grapes appear to have the highest level. Laboratory studies showed that moderate amounts of red wine consumed daily by the test subjects resulted in a marked decrease in cholesterol levels. 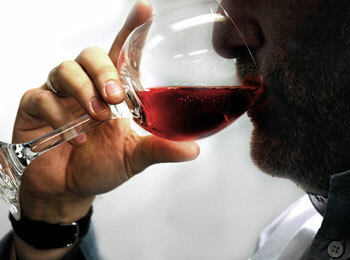 Other types of wines do not contain the same levels of flavanoids and polyphenol antioxidants. These include white wines, fruit wines (from plums, apples, berries, etc), and rice and other wines made from grain. The obvious secret to maintaining good physical health is to combine moderate red wine consumption with watching one’s diet and by regular exercise.